Home » Books » How many Benedict Arnolds can one administration hold? WASHINGTON — “I’ll write the real book!” says President Trump, vowing to counter the “scam” Bob Woodward has just published. 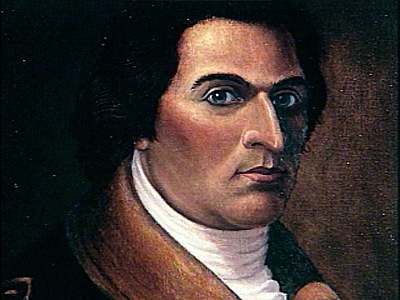 Two Benedict Arnolds in one young administration? Make that three. “TREASON?” Trump asked via Twitter after an unnamed administration official criticized him in a New York Times op-ed last week. “Is it subversion? Is it treason?” he asked the next day. He answered his own question on Fox News: “Virtually, you know, it’s treason.” Trump regarded a personal embarrassment as a national security threat. Trump says the famed journalist and author should be disbelieved because “I don’t talk the way I am quoted.” But Woodward’s Trump sounds exactly like the Trump we hear daily. Advisers, worried about “his erratic nature, his relative ignorance, his inability to learn,” treat him like a man-child, distracting him from the geopolitical equivalent of sticking his finger in an electrical socket. Before Donald Trump became president, there was 42 percent unemployment, most of the residents of Chicago had been murdered, the violent gang MS-13, led by Nancy Pelosi, controlled much of the country, President Barack Obama personally tapped Trump’s phones and Ted Cruz’s father assassinated John F. Kennedy. Then, in November 2016, Trump won a bigger electoral landslide than Ronald Reagan’s, despite millions of fraudulent votes for his opponent. Immediately, American carnage ceased, every African-American got a job, the economy became “soooo good, perhaps the best in our country’s history,” and Trump was more popular than Abraham Lincoln. Despite the fact Trump had Made America Great Again, Democrats, aided by the failing New York Times, the Amazon Washington Post and fake-news CNN, used a phony dossier to start a rigged witch hunt. There was NO COLLUSION, but leaking liar James B. Comey, mentally disabled Jeff Sessions, angry conflicted Democrat Robert S. Mueller III, so-called judges, the corrupt FBI and the “Justice” Department made Joseph McCarthy look like a baby!